Vermicomposting is a quick, efficient way to convert kitchen scraps into a rich soil amendment using earthworms. Vermicompost worms break down organic matter, such as kitchen scraps, into waste products called castings. Although castings may be waste to the worms, they are a rich treasure for gardeners. Vermicompost is richer in essential plant nutrients such as nitrogen, phosphorous and potassium than traditional compost. It also contains microbes that help plants grow. Can Any Type of Earthworm be Used for Vermicomposting? The best types of worms for vermicomposting are red wigglers (Eisenia fetida) and redworms (Lumbricus rubellus). 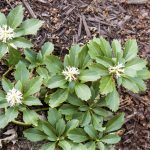 These two species make great worms for the compost bin because they prefer a compost environment to plain soil, and they are very easy to keep. Worms that feed on vegetable waste, compost, and organic bedding produce richer casting than those that feed on plain soil. You won’t find red wigglers in garden soil. You may find redworms near compost, under rotting logs, and in other organic situations. The problem is identifying them. You won’t be able to tell the difference between Lumbricus rubellus and other worms, so it’s best to buy them. If you don’t have a local supplier, you can order them on the Internet. It takes one pound of worms (1,000 individuals) to start a good-sized compost bin. Worms and vermicomposting bins don’t smell, so you can keep worms indoors year round. It’s a great way to use up your kitchen scraps and the kids will enjoy helping out with the worm farm. 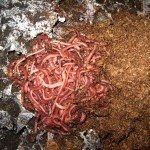 If you choose the right vermicomposting worm types and feed them regularly (about one-half pound of food scraps per pound of worms per day), you’ll have a steady supply of vermicompost for your garden.